Hotel Red House is a an ideal stay for various leisure and business traveler looking for pocket-friendly accommodation. Staying true to its name, The hotel has a red brick exterior and ambiance which stand out in the locality. The spacious room is well furnished, modern, and comfortable with minimal furnishing giving a simplistic and fulfilling vibe to the place. 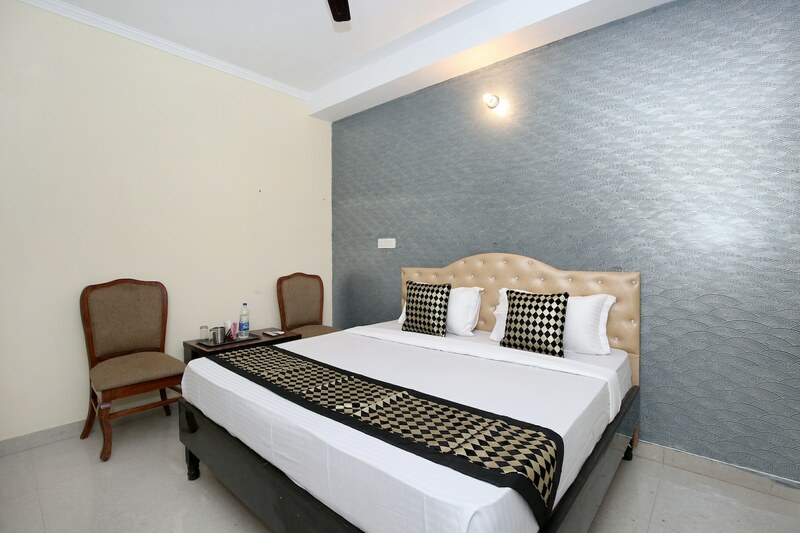 Guest can avail the facility of free Wi-Fi to stay connected with the internet. Other facilities offered by the hotel include power backup and CCTV cameras, ensuring safety for the guests. Various well-known restaurants are near to the hotel catering to various travelers taste. Cactus Garden, Mansa Devi Temple, and Rock Garden along with various shopping hubs nearby make your stay happening.